The name Roosevelt was given in honor of the 26th American President (Theodore Roosevelt), that between the months of December / 1913 to May / 1914 along with Candido Marechal Rondon led a team of scientists, doctors and soldiers who aimed to capture of animals and birds for the collection of the Museum of Natural History in New York, where a wing on the expedition. On April 21, 1914, former US president toured the trails where currently is located the Pousada Rio Roosevelt (see photo), and after almost a century, the region remains exactly the same as that time. This fact is recorded in the book, Adventure In the jungles of Brazil, published by Theodore Roosevelt himself, also in movies and photos in the collection of the Museum of Natural History in New York. Prior to this expedition the river was called the River of Doubt, due to the fact of not knowing where he was going to pour. In addition, President Roosevelt slept on the beach where the inn is located, as stated in the book “In the jungles of Brazil.” It states that in April 1914, the expedition spent the night in the same geographical cordenadas which currently is located our hostel. After one century, the region remains intact and unexplored in various areas, such as at the time of shipment. 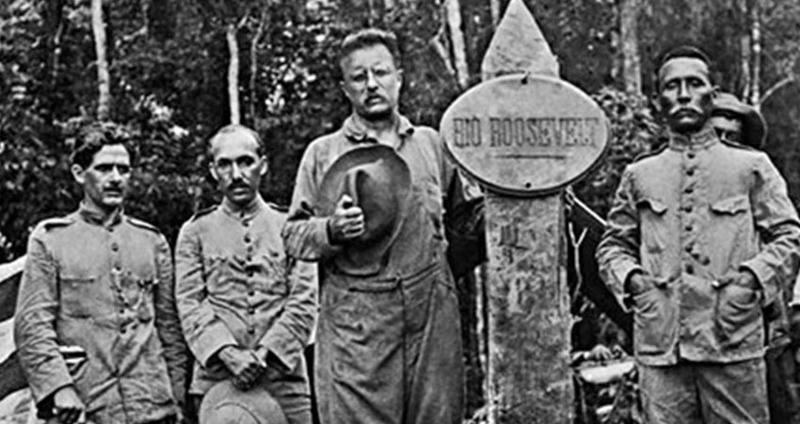 Roosevelt had taken part in a safari almost a year for Africa in 1909. The challenges encountered during the expedition were countless involving deaths, disputes over food, conflicts with cannibal Indians, disease and even dehydration, as tells this story. When traveling by Amazon completed a month, Roosevelt had already lost 30 kilos. What’s more, to help replace his boat in the waters of the river of the question, the former president ended up wounding one leg on a rock. Entre em contato para montar o seu pacote conosco e tenha o melhor de um hotel cinco estrelas com a beleza da selva amazônica. Inform us your e-mail to follow our promotions and news. The Pousada Rio Roosevelt is only one, ours, the Pousada Rio Roosevelt. Pousada Rio Roosevelt - Site Oficial - 2018 - Todos os Direitos Reservados.